Buyenlarge 0-587-26918-9-C2030 "Thai Lady Slipper Orchid; Cypripedioidea" Gallery Wrapped Canvas Print, 20" x 30"
Orchid; Lady's slipper orchids, lady slipper orchids or slipper orchids are the orchids in the subfamily Cypripedioidea, which includes the genera Cypripedium, Mexipedium, Paphiopedilum, Phragmipedium and Selenipedium. They are characterized by the slipper-shaped pouches (modified labellum's) of the flowers - the pouch traps insects so they are forced to climb up past the staminode, behind which they collect or deposit pollinia, thus fertilizing the flower. 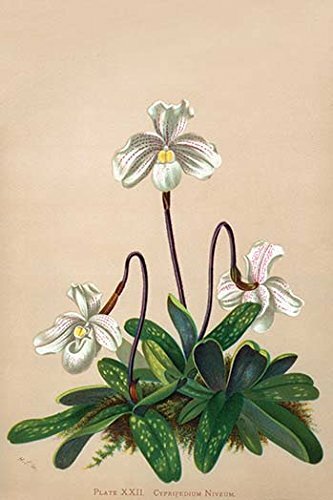 Buyenlarge 0-587-26918-9-C2436 "Thai Lady Slipper Orchid; Cypripedioidea" Gallery Wrapped Canvas Print, 24" x 36"
Buyenlarge 0-587-26919-7-C2436 "Thai Lady Slipper Orchid; Cypripedioidea" Gallery Wrapped Canvas Print, 24" x 36"
Buyenlarge 0-587-26918-9-C2842 "Thai Lady Slipper Orchid; Cypripedioidea" Gallery Wrapped Canvas Print, 28" x 42"
Buyenlarge 0-587-26919-7-C2842 "Thai Lady Slipper Orchid; Cypripedioidea" Gallery Wrapped Canvas Print, 28" x 42"
Buyenlarge 0-587-26918-9-C3248 "Thai Lady Slipper Orchid Cypripedioidea" Gallery Wrapped Canvas Print, 32" x 48"
Buyenlarge 0-587-26919-7-C3248 "Thai Lady Slipper Orchid Cypripedioidea" Gallery Wrapped Canvas Print, 32" x 48"
GreatBIGCanvas "Small Gold Seated Thai Buddha " Photographic Print with black Frame, 36" X 24""
Buyenlarge 0-587-26918-9-C4466 "Thai Lady Slipper Orchid; Cypripedioidea" Gallery Wrapped Canvas Print, 44" x 66"
Buyenlarge 0-587-26919-7-C4466 "Thai Lady Slipper Orchid; Cypripedioidea" Gallery Wrapped Canvas Print, 44" x 66"
iCanvasART My Thai Boat Painter Gallery Wrapped Canvas Art Print by Iris Scott, 37" x 0.75" x 37"